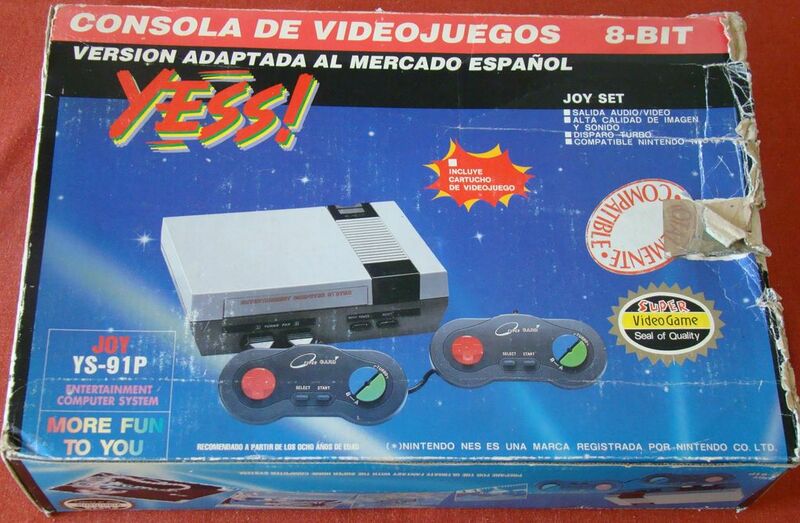 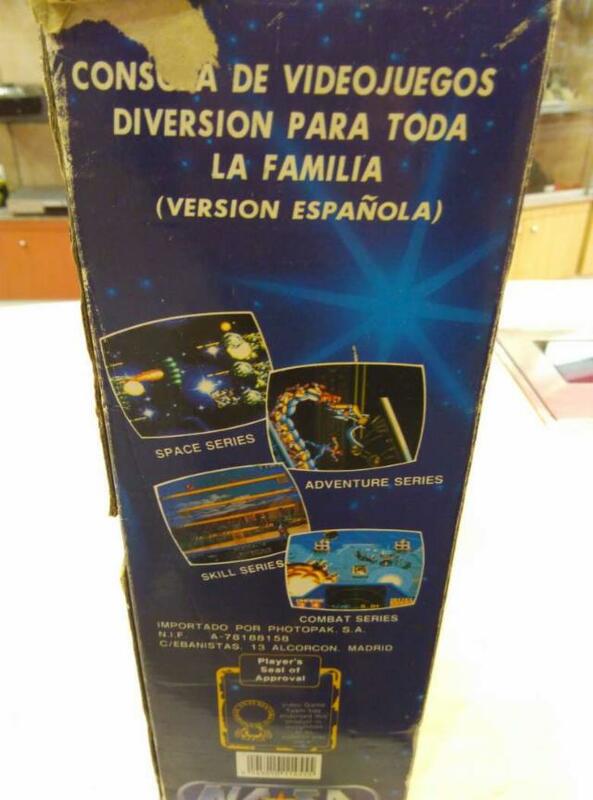 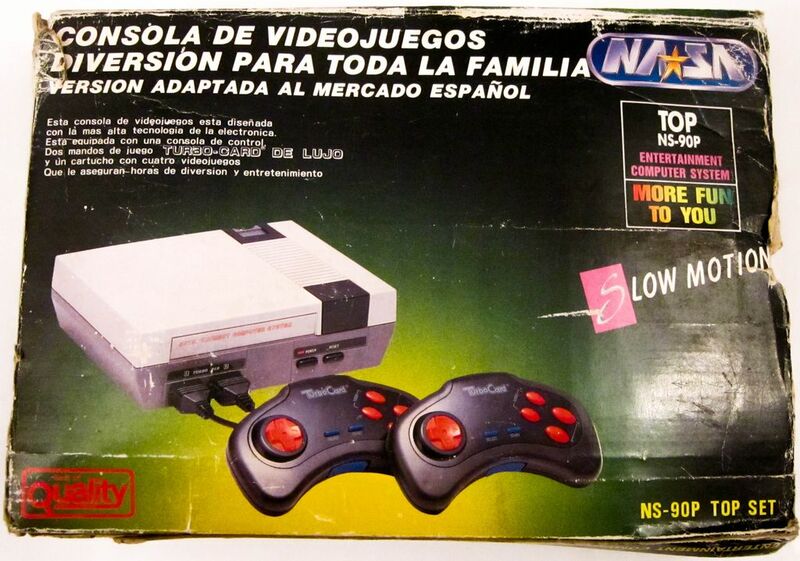 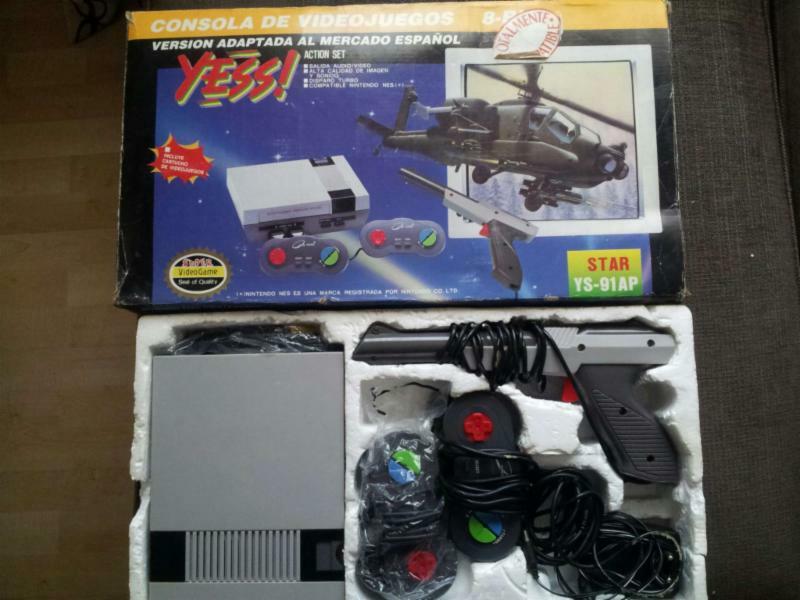 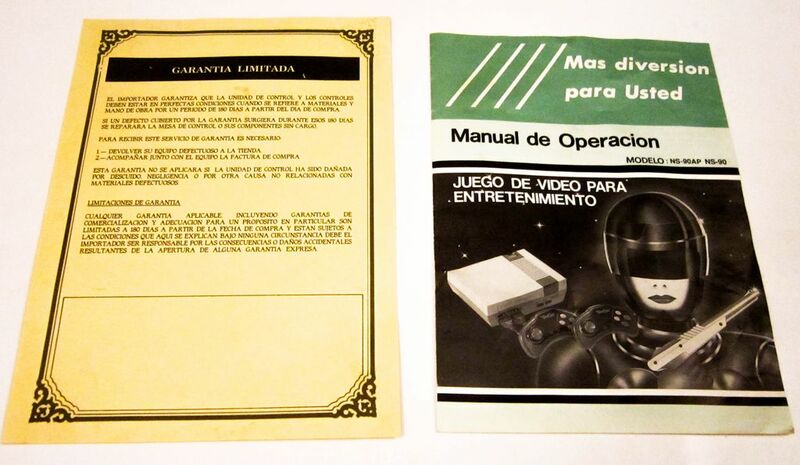 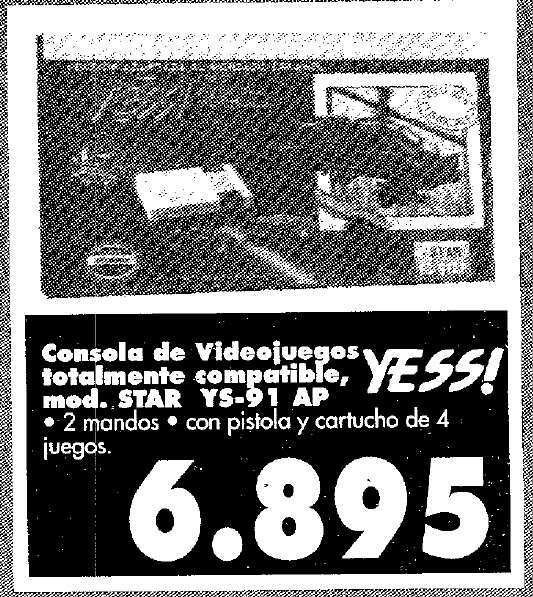 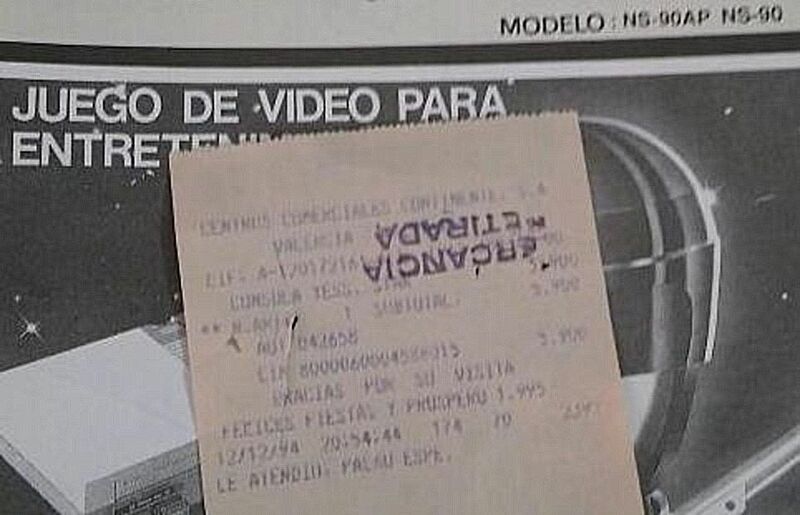 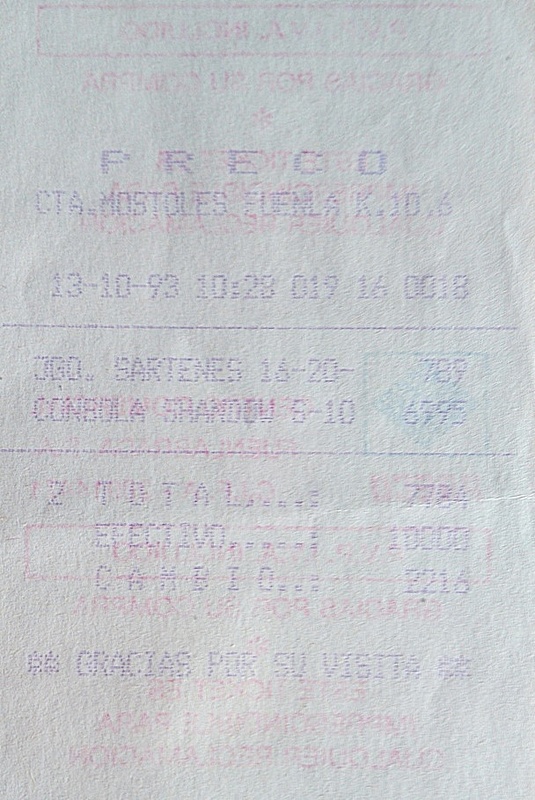 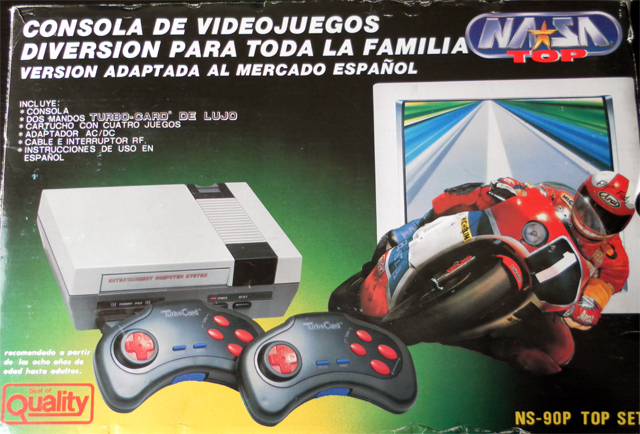 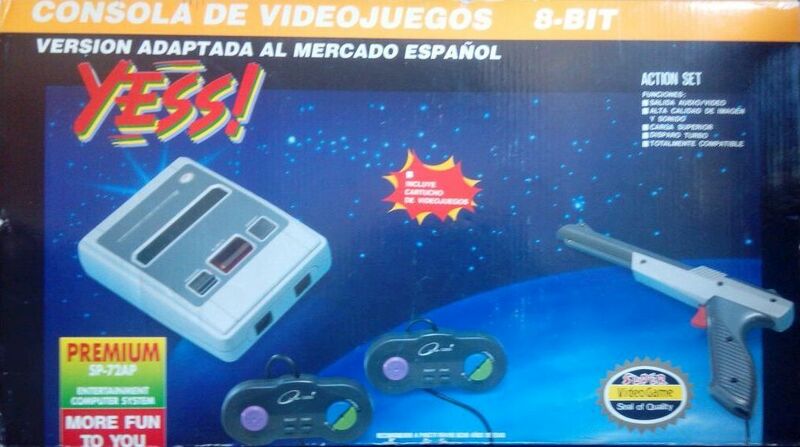 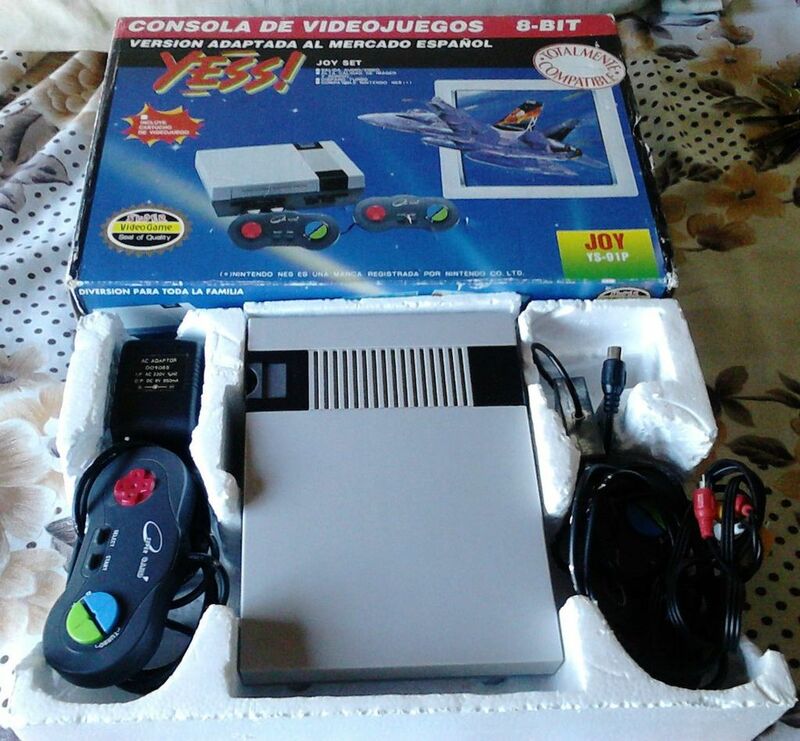 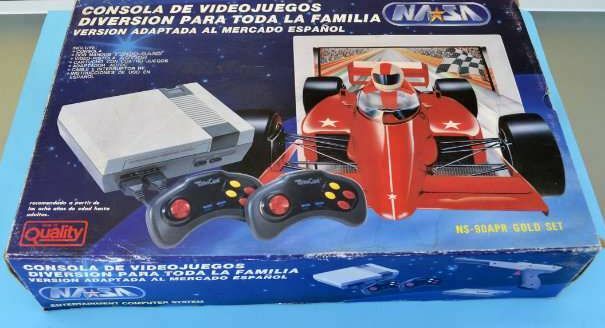 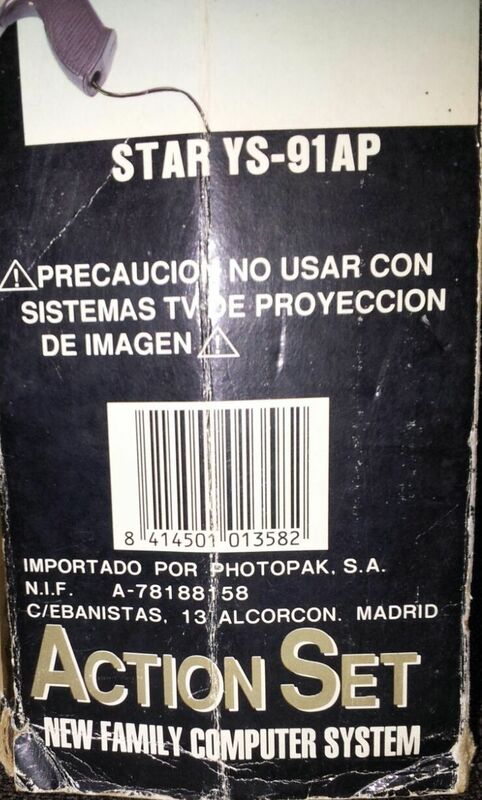 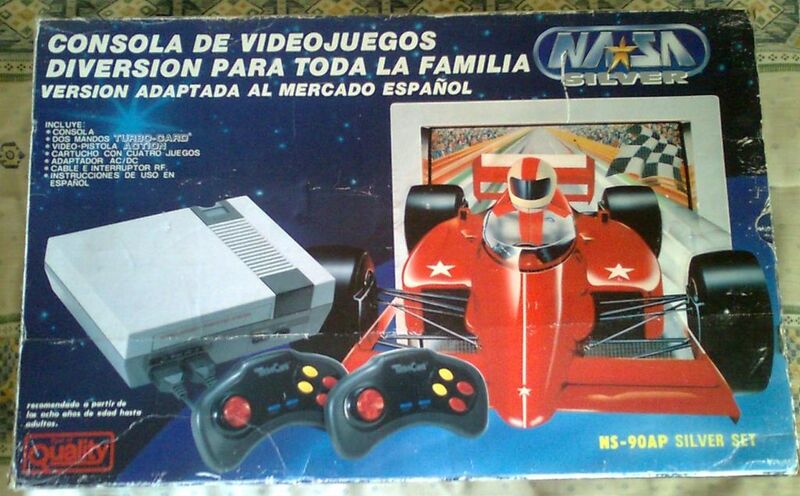 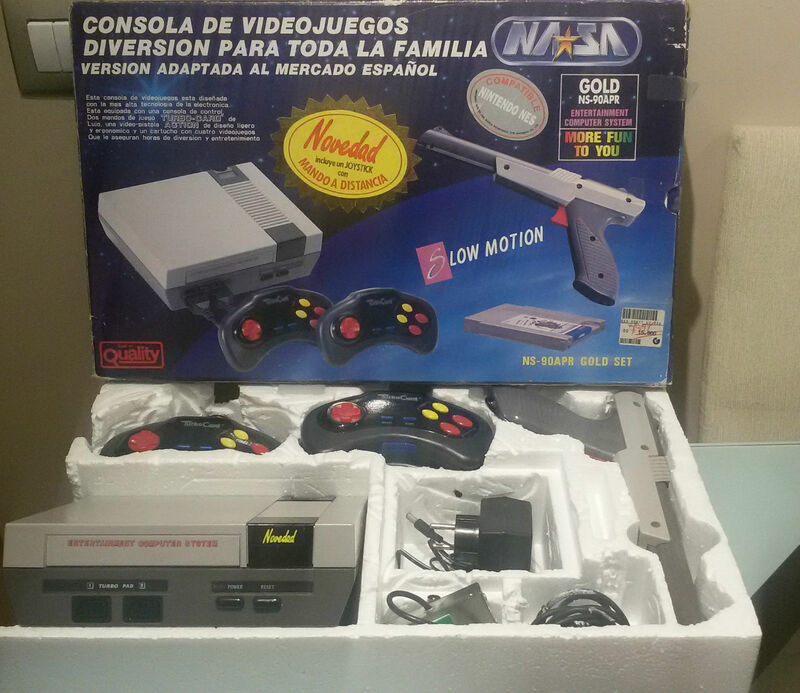 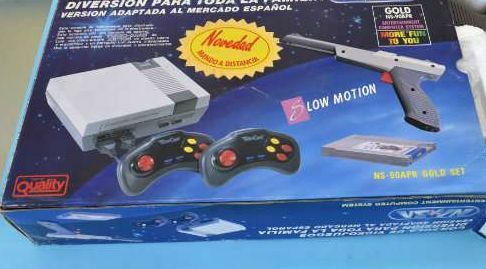 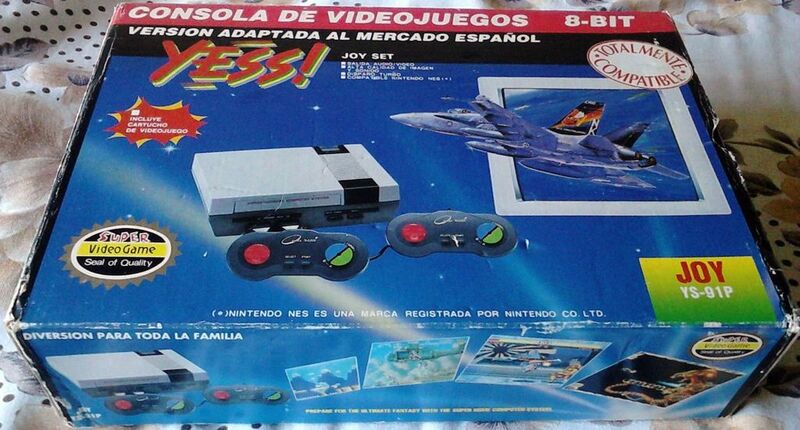 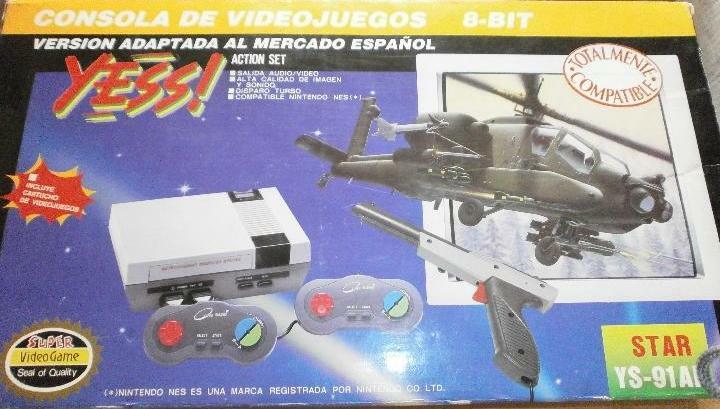 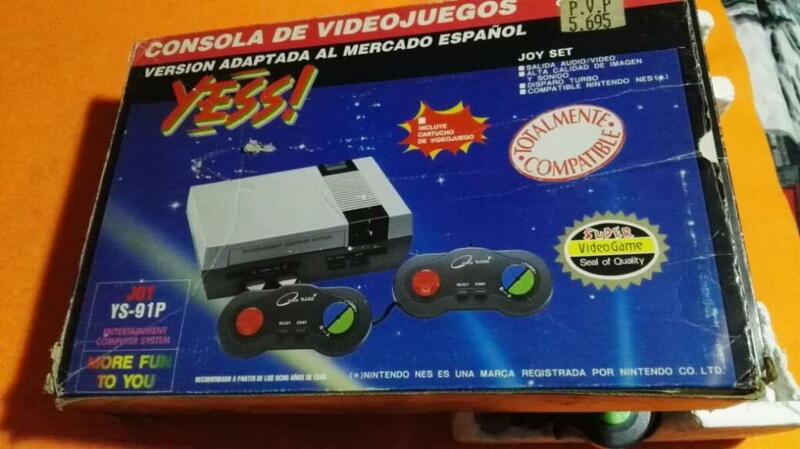 The price the consoles had on 1992-1994 varied a lot, it can be seen on the publicity that on the 1992 christmas the Yess costed only 5.995 Ptas (36,04 €). 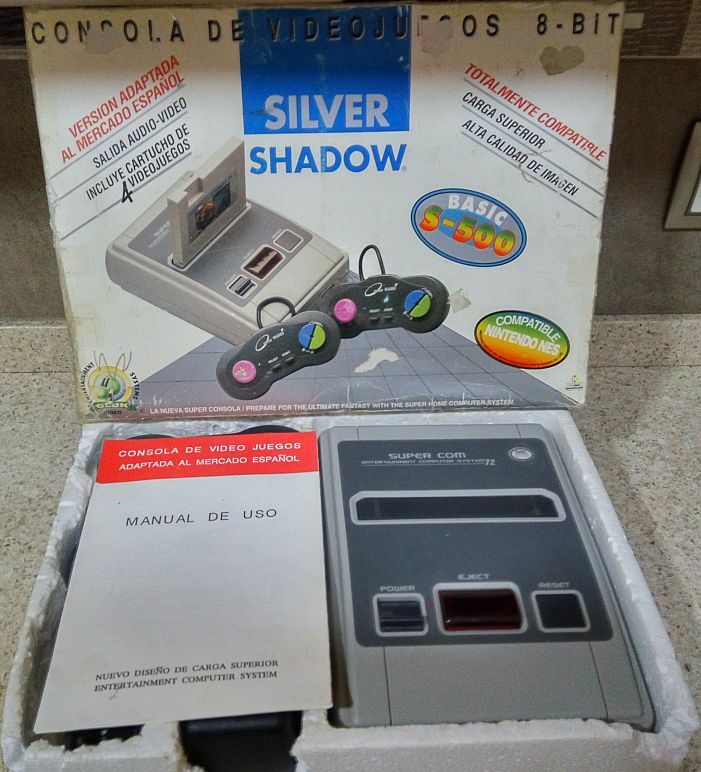 The SILVER SHADOW SUPER S-1000 (84 14501 01365 0) and the SILVER SHADOW BASIC S-500 (84 14501 01376 6) are the only ones with references to Gluk, including the logo on it's box, their name refers a model of Rolls Royce. 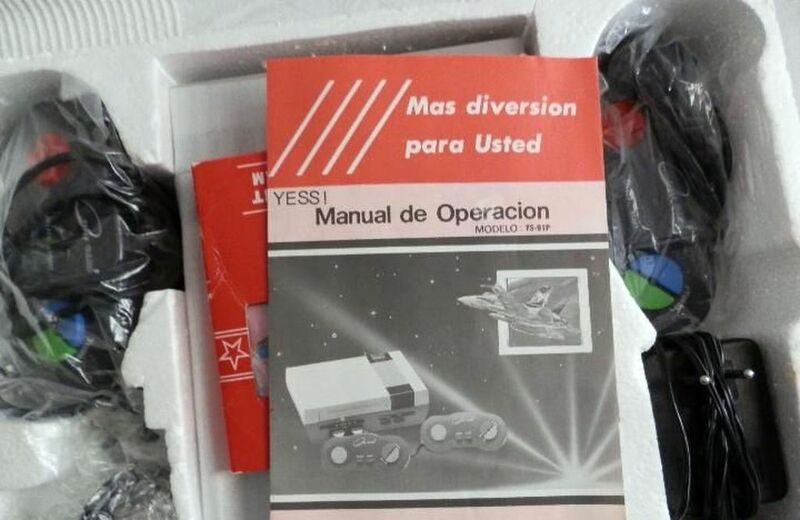 The YESS JOY-YS-91P (84 14501 01359 9), the NASA SILVER-NS-90AP SILVER SET (84 14501 XXXXX X), the SILVER SHADOW BASIC S-500 (84 14501 01376 6) and the SILVER SHADOW SUPER S-1000 (84 14501 01365 0) mention Photopak on their boxes. 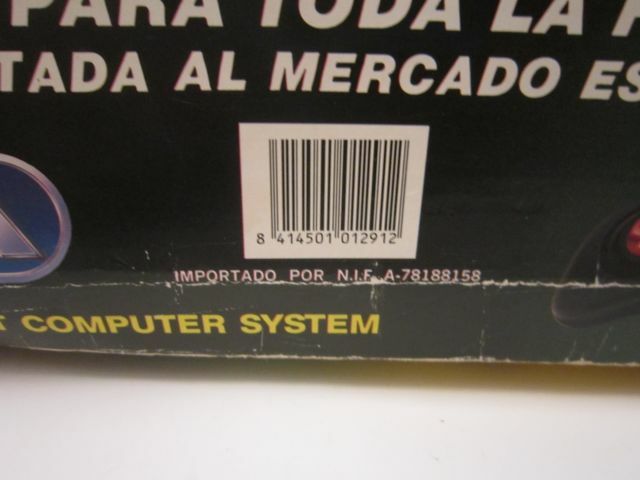 The rest of them only reference the NIF/CIF of the company. 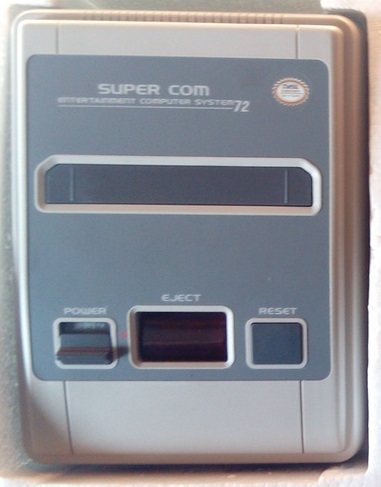 The consoles admit cartridges from the 72 pin format although with an adapter they also load 60 pins games. 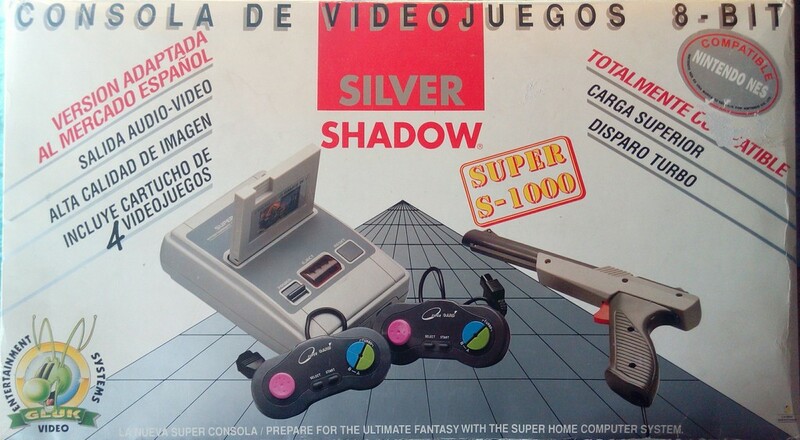 The SILVER SHADOW SUPER S-1000 (84 14501 01365 0), the SILVER SHADOW BASIC S-500 (84 14501 01376 6) and the YESS PREMIUM-SP-72AP (84 14501 01300 1) are Super NES shaped consoles, they load the games from the top and have Power, Reset and Eject buttons to help releasing the games. 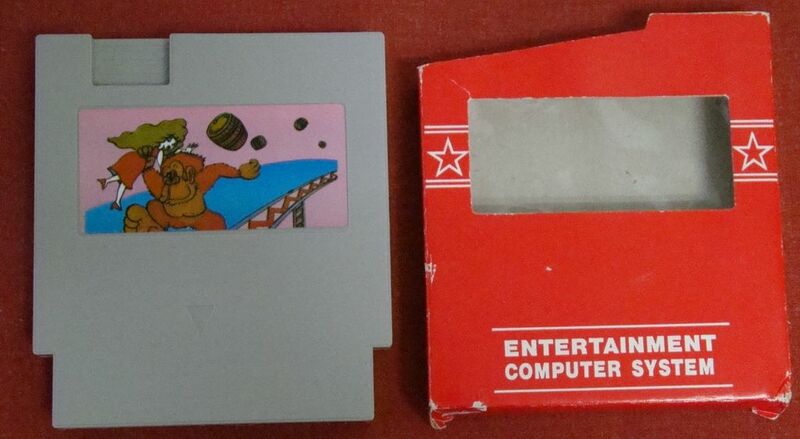 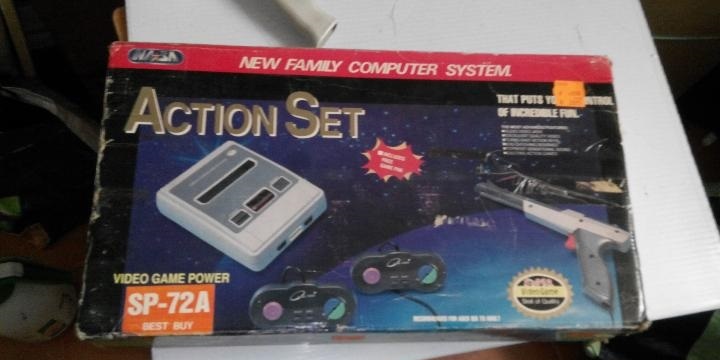 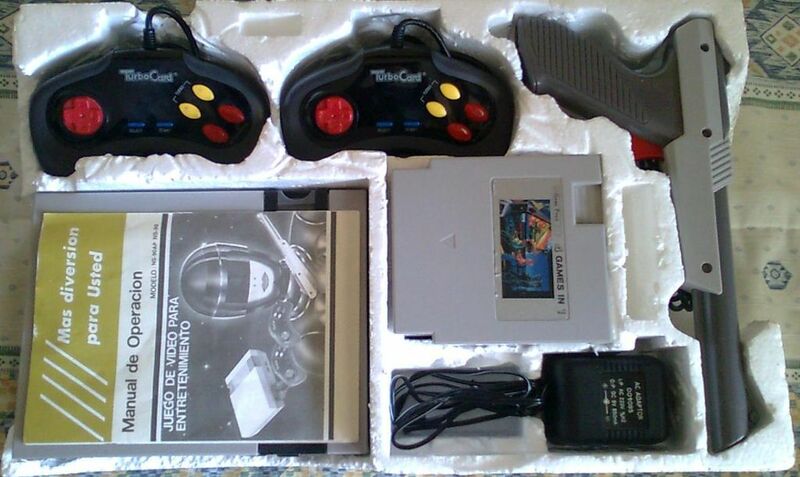 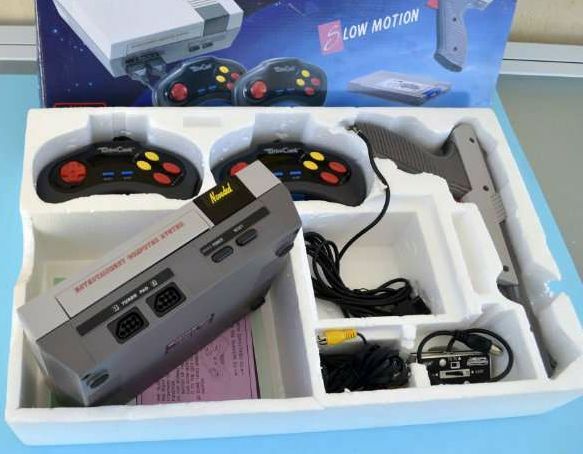 The rest are aesthetically equal, a rectangular box similar to a NES but more compact, with Power, Reset and Eject buttons to help releasing the games. 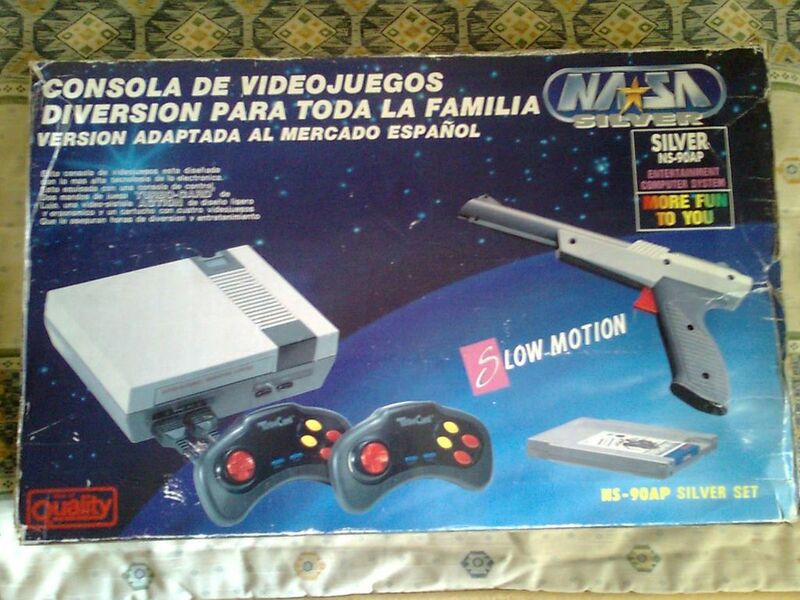 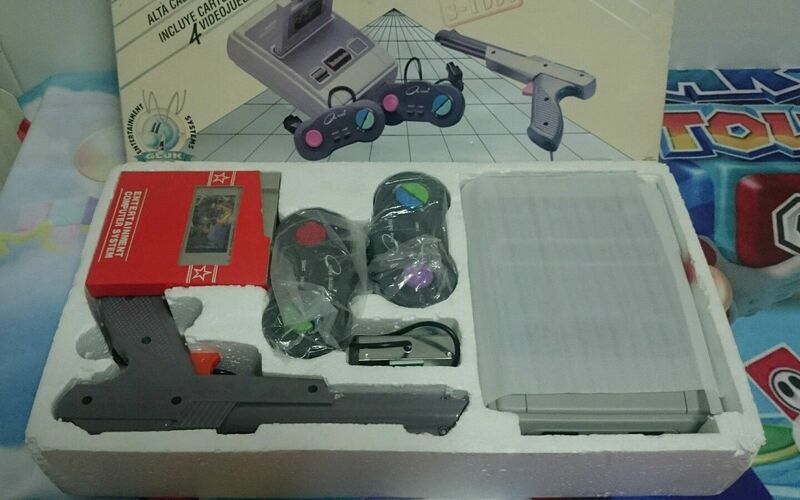 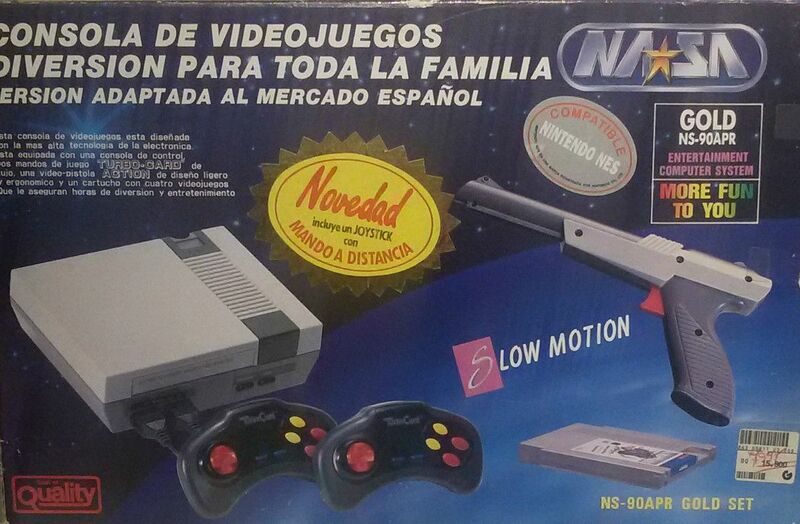 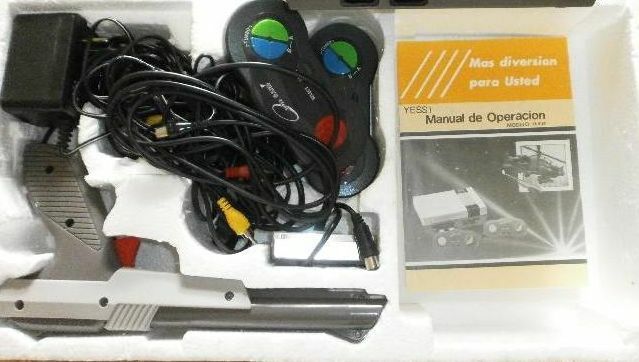 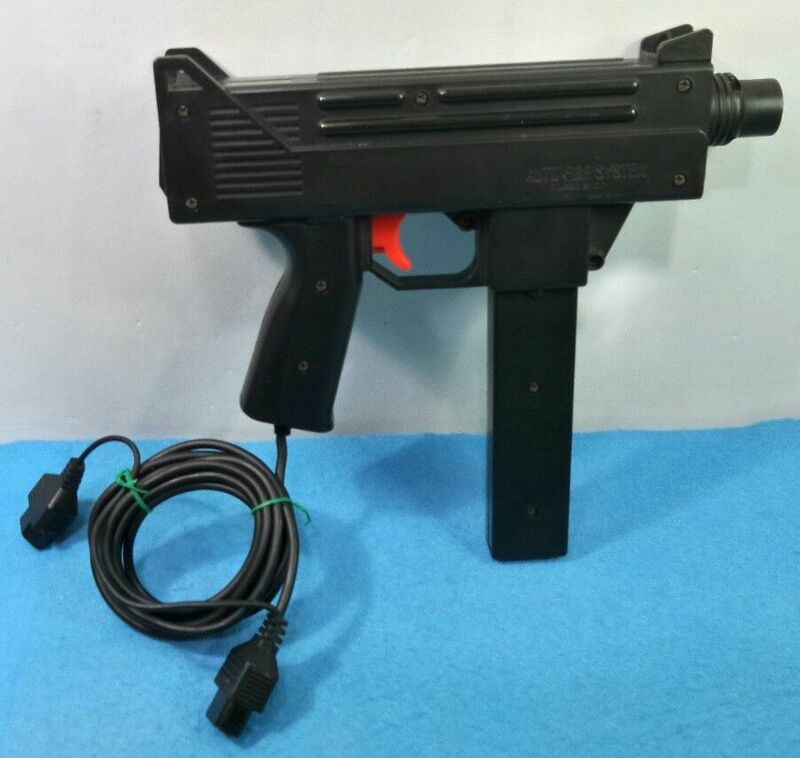 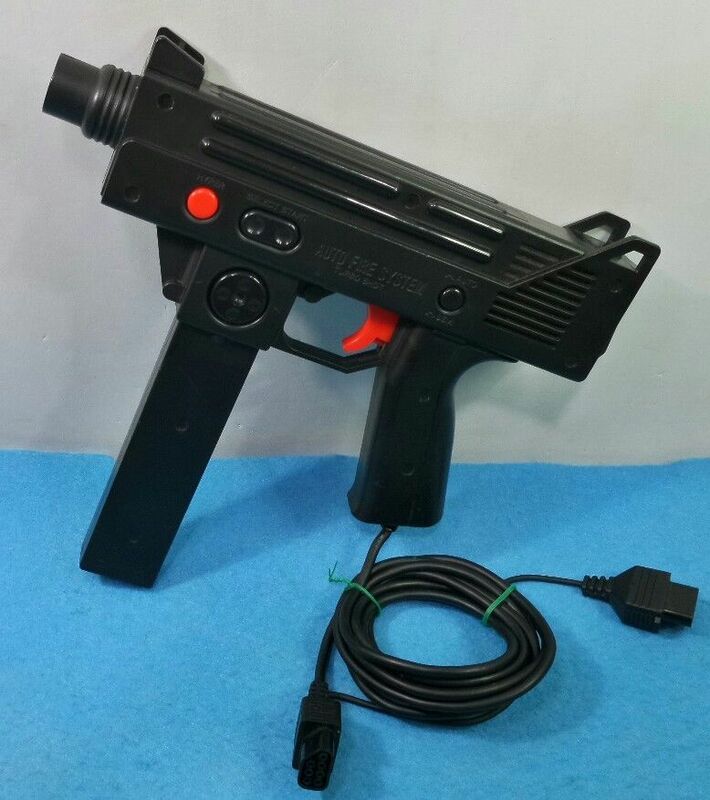 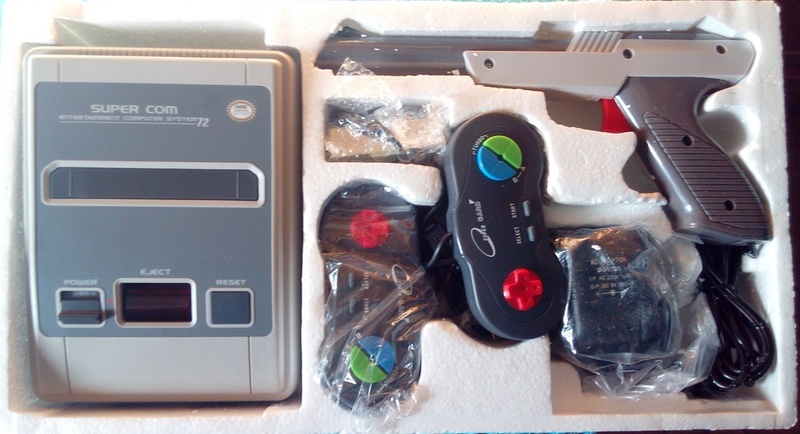 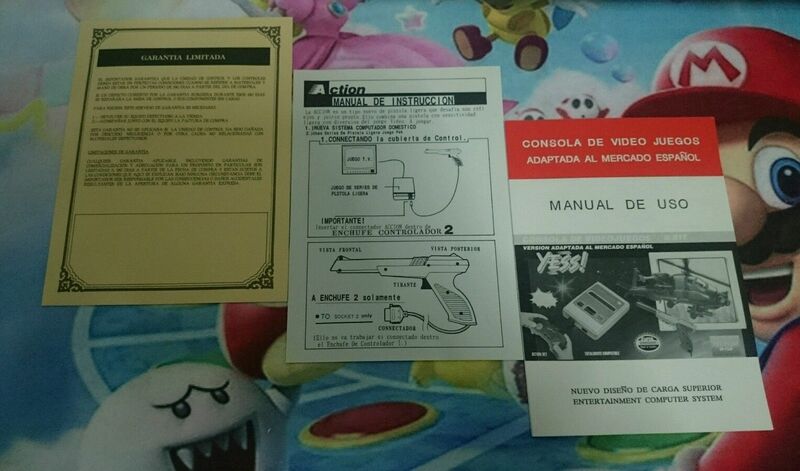 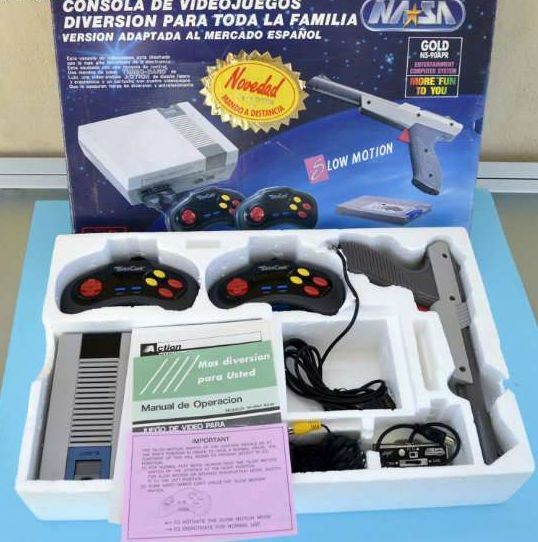 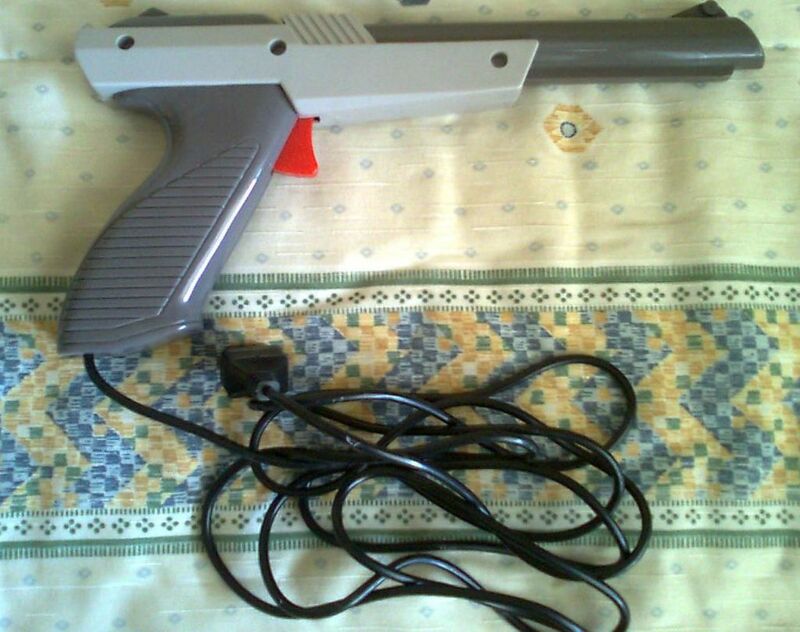 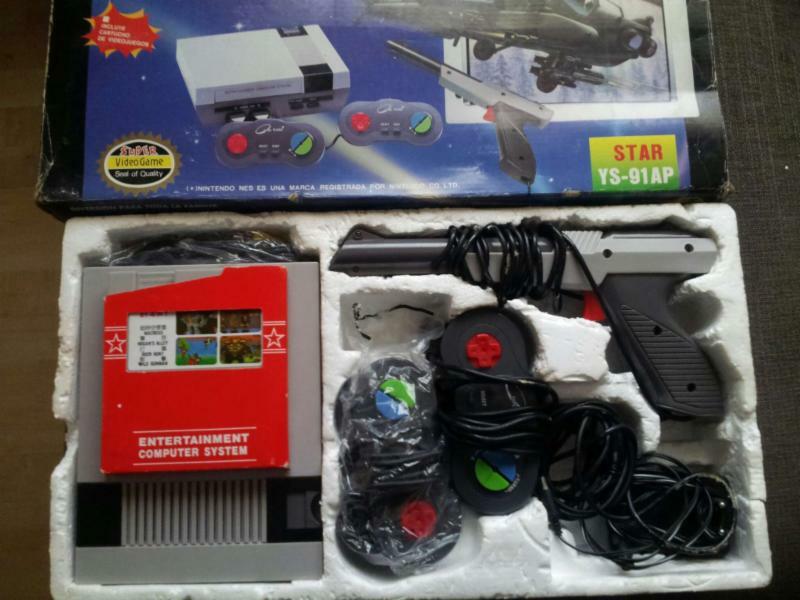 Some include a gun very similar to the ZAPPER of the NES on it's grey version except the YESS JOY-YS-91P (84 14501 01359 9), the SILVER SHADOW BASIC S-500 (84 14501 01376 6) and the NASA SILVER-NS-90AP SILVER SET (84 14501 XXXXX X). 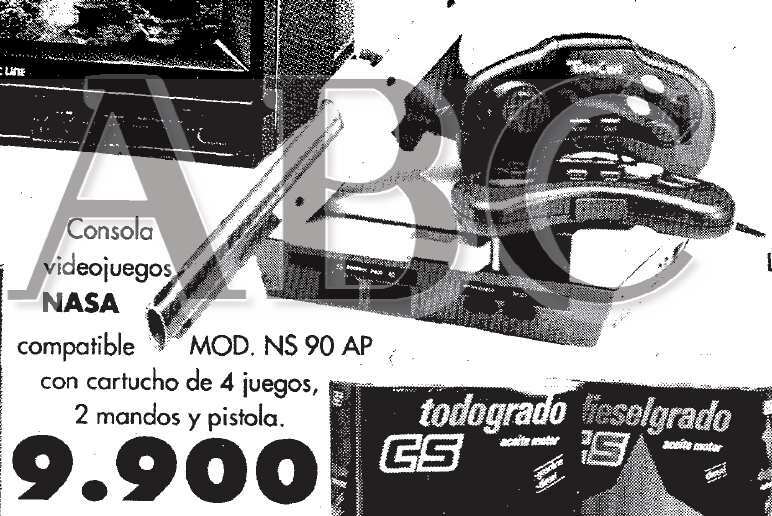 They also sold a machine gun that used both ports and worked as pad and pistol, the TLG-405, AUTO FIRE SYSTEM, this machine gun came presumably with the game "Comando de Lobos", for about 5900Pts(35,46€). 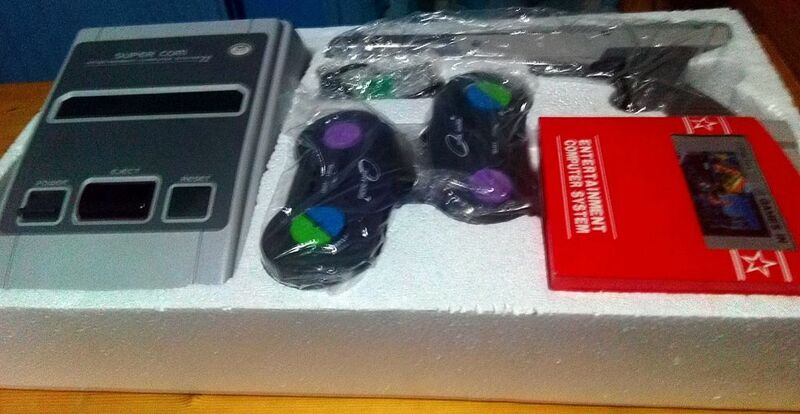 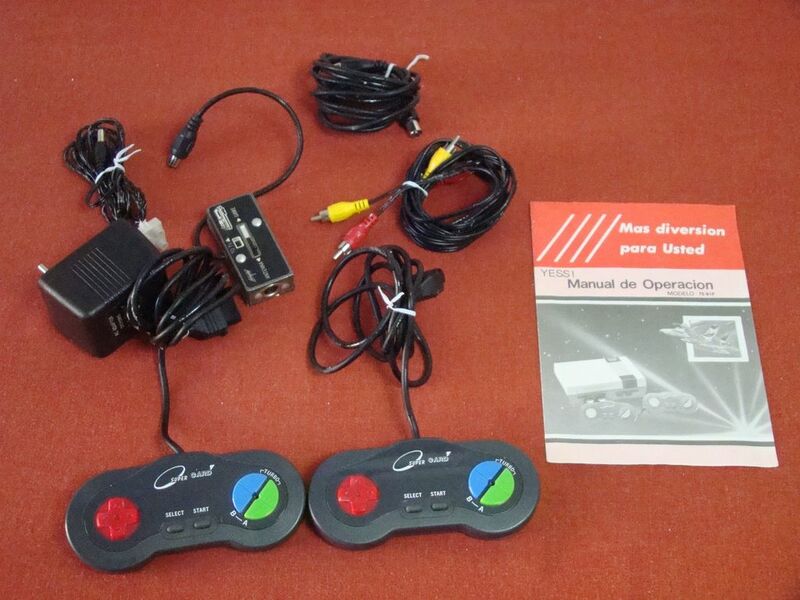 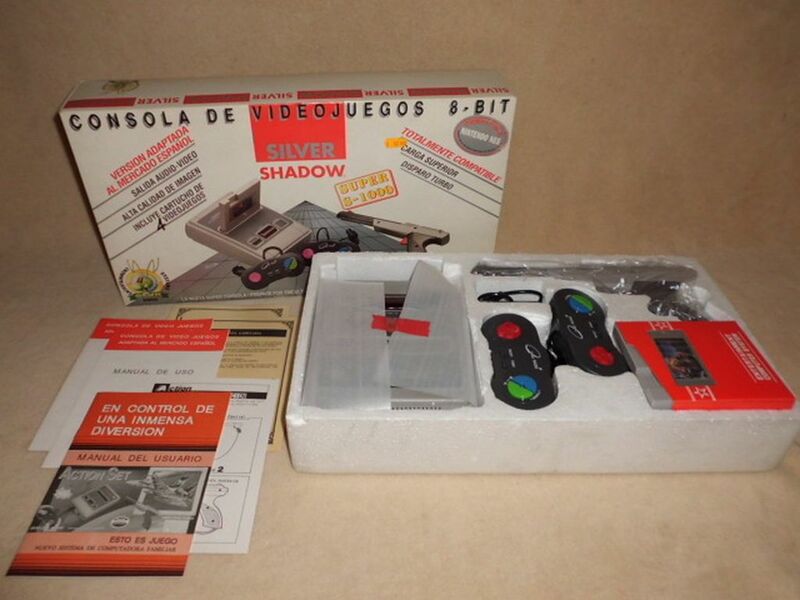 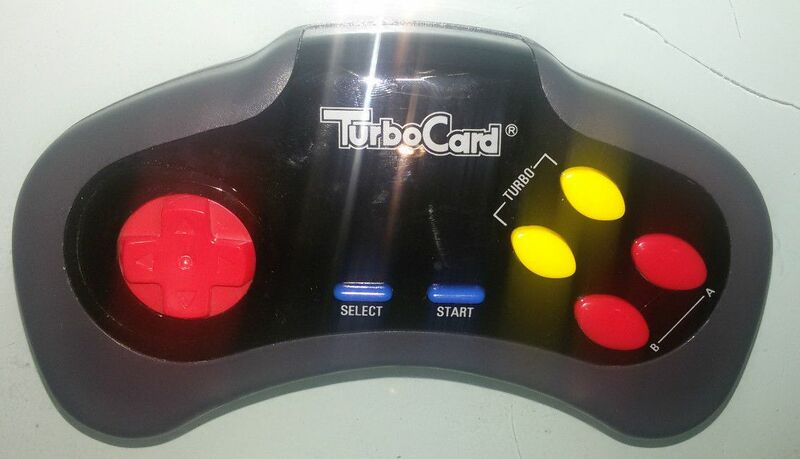 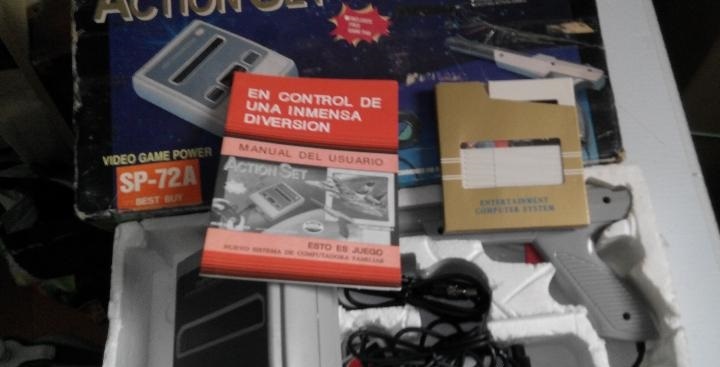 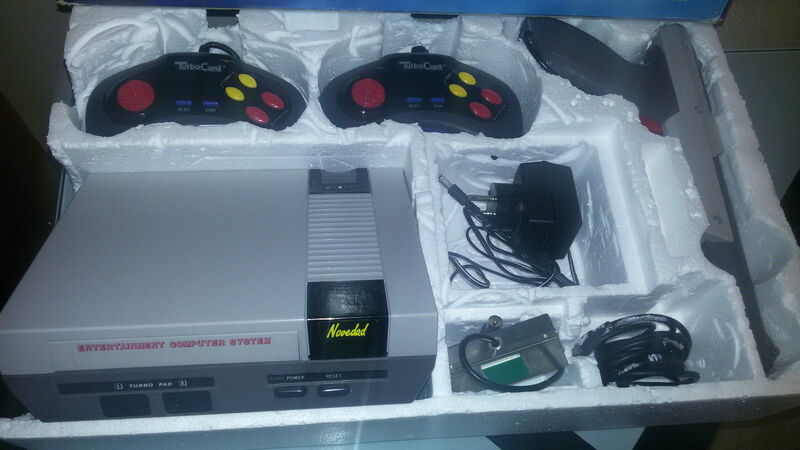 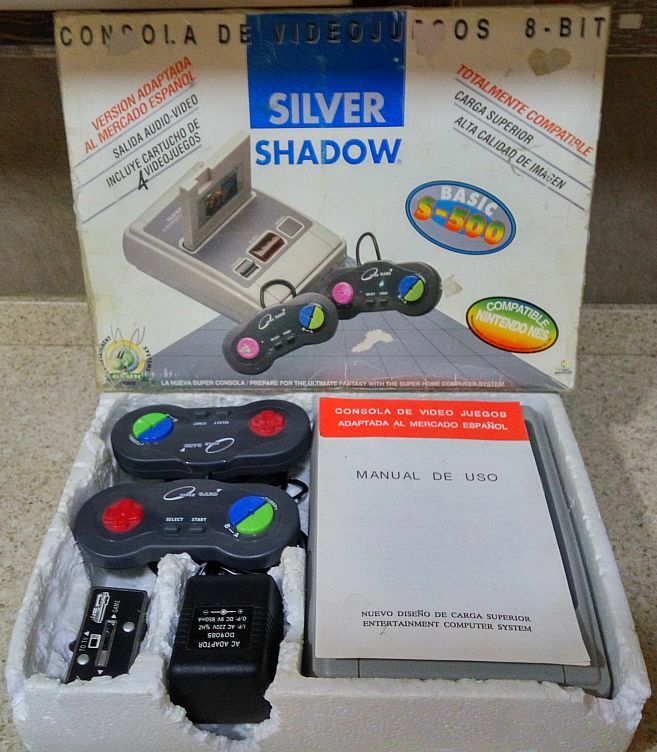 The SILVER SHADOW SUPER S-1000 (84 14501 01365 0), the SILVER SHADOW BASIC S-500 (84 14501 01376 6) and the Yess include the same control pads, dark greys with B buttons blue and A buttons green and the possibility to activate the turbo on each one but using the same piece to activate a button and the turbo. 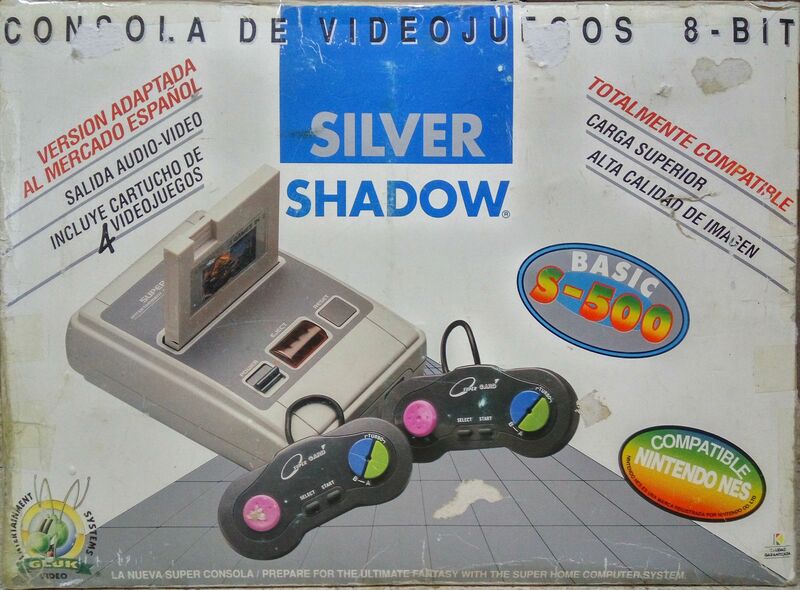 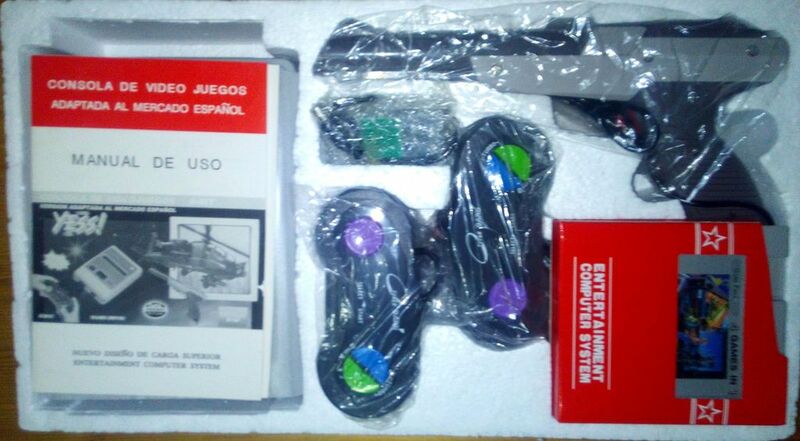 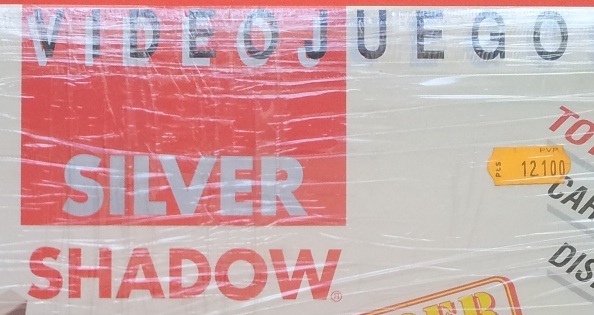 The joypad is rounded and red except on the YESS PREMIUM-SP-72AP (84 14501 01300 1) that is violet and without a cross, in the box of the SILVER SHADOW SUPER S-1000 (84 14501 01365 0) and the SILVER SHADOW BASIC S-500 (84 14501 01376 6) curiously it is pink. 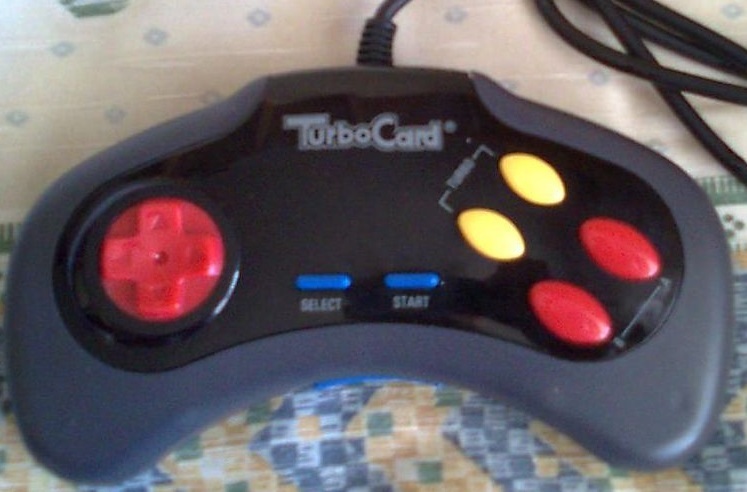 The rest have bigger rounded shaped pads with a half moon shape and yellow/red buttons (yellow ones being the turbo), with a rounded and red joy pad and a switch for the "Slow Motion" mode that pauses and unpauses the game constantly. 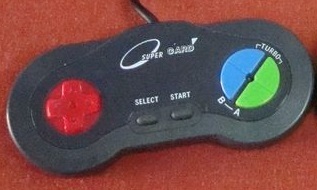 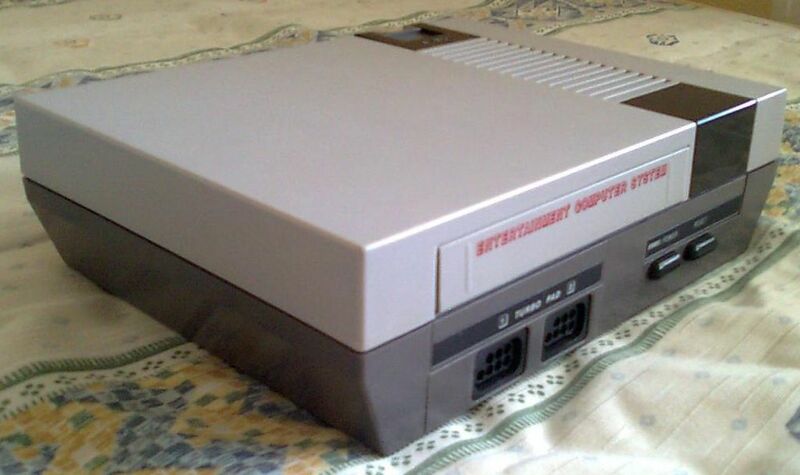 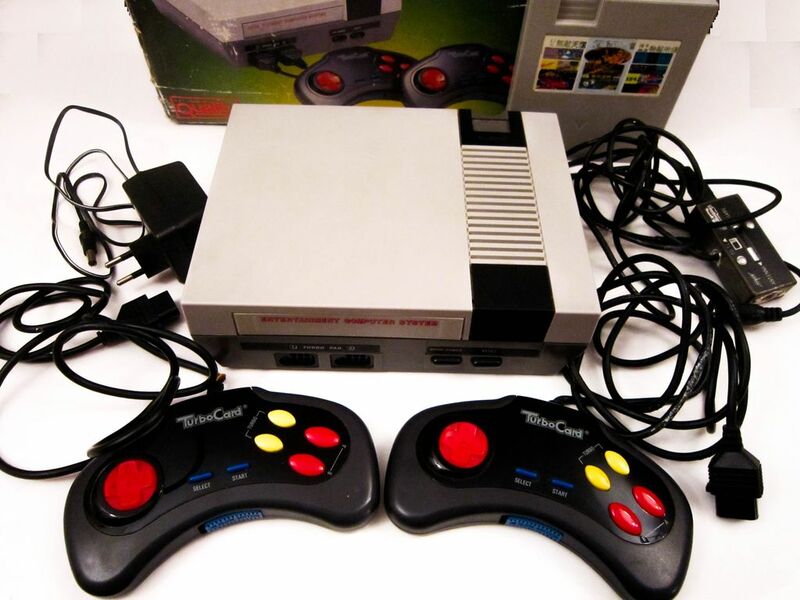 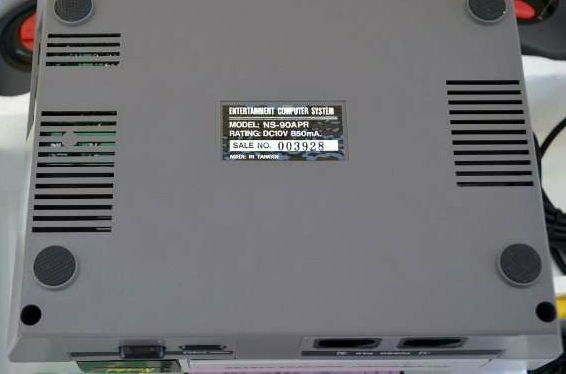 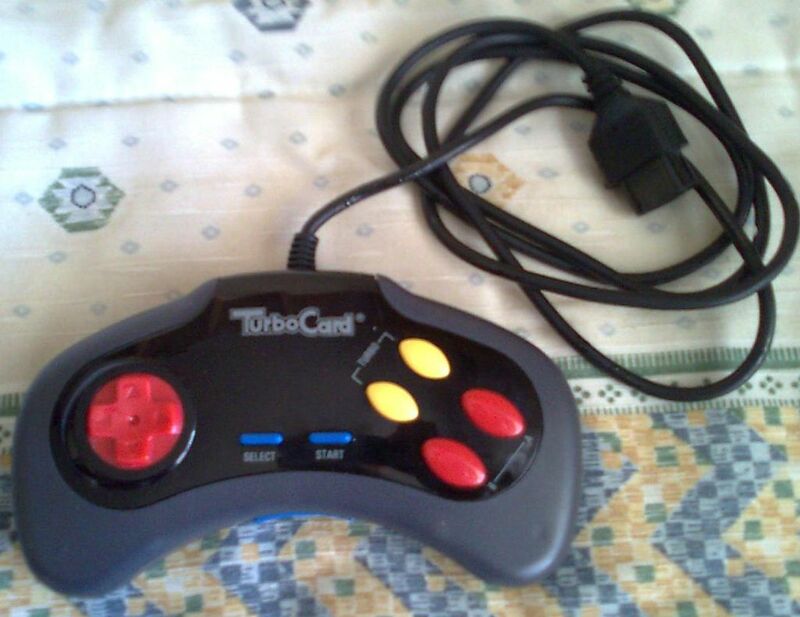 All game pads and consoles have the NES standard connector, being possible to use the original game pads on the clones, but not the Four Score, because the connectors are in horizontal instead of vertical. 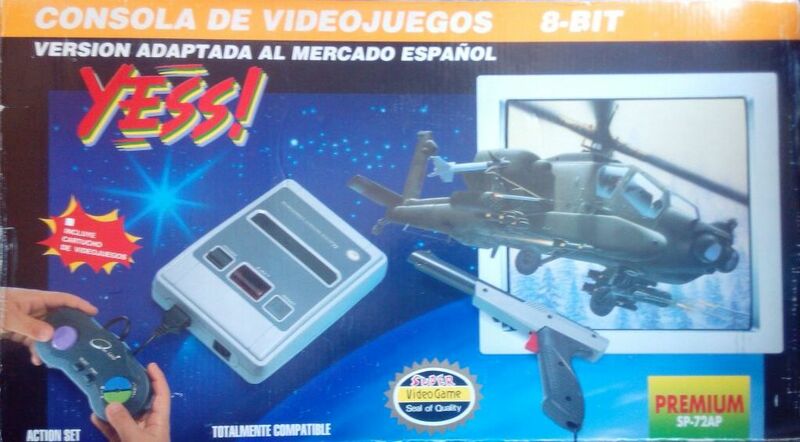 Although there seems to be variants with other games.